Having trained at the prestigious Carrabassett Valley Academy on the icy peak of Sugarloaf Maine, Abby has obtained multiple FIS podiums, US titles, and four junior World invites while chasing her love of snowboarding. From the Andes, Alps, Appalachians, to Chile, the Czech Republic, the Taebaek mountains of Korea and the Canadian Rockies, Abby’s riding spans the globe. 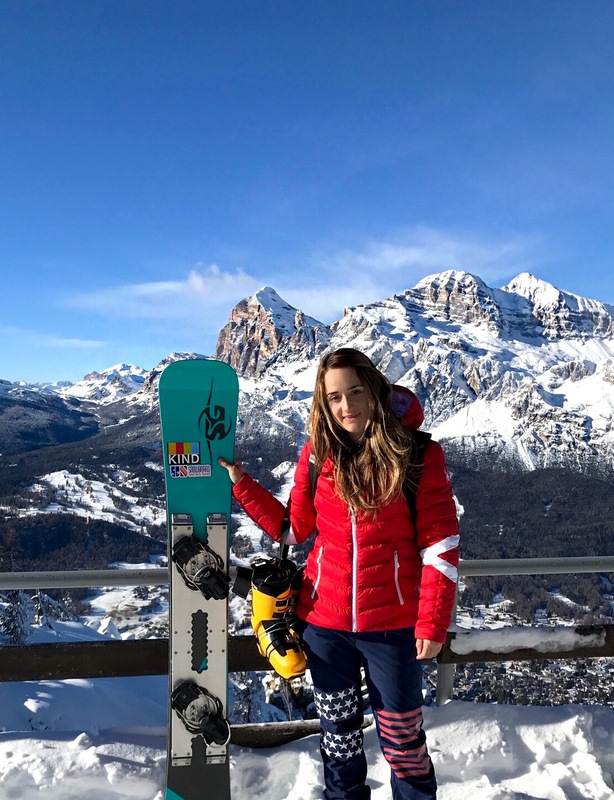 Abby made the tough decision in 2010 to step away from snowboarding to complete her nursing degree and gain experience as a professional in the medical field. In 2014, unable to hold back her love for racing any longer, she entered a few North American Cup competitions and was instantly hooked again. When she’s not tearing down the mountain she’s giving back to her community as the head nurse of a busy urgent care facility in Park City Utah, the mountain she has called home for 13 years. Fueled by KIND Snacks, she is anxious to push the limits of snowboard racing while not only bettering herself, but giving back to the sport she loves as well.